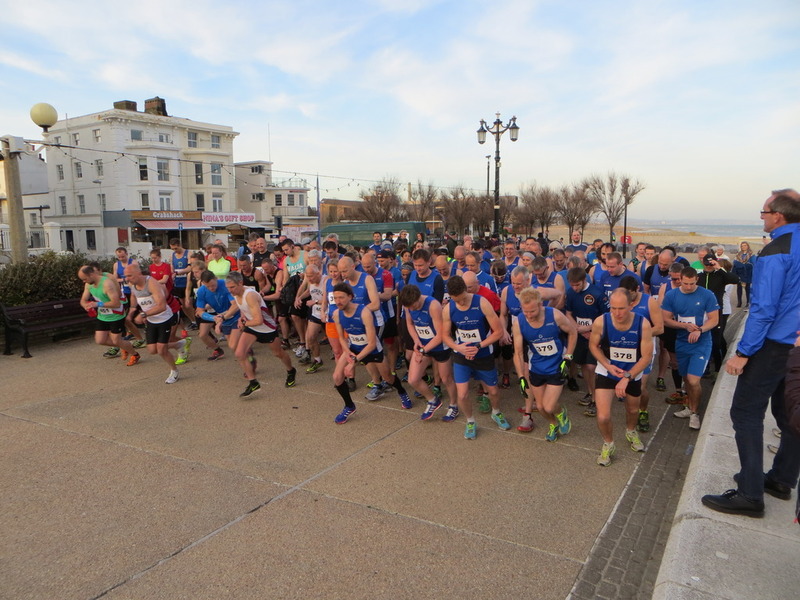 The starter got us underway with an underwhelming “3,2,1…go” and I flew off along the seafront in a desperate bid not to be trampled by all the quicker runners behind me. But where were they all? 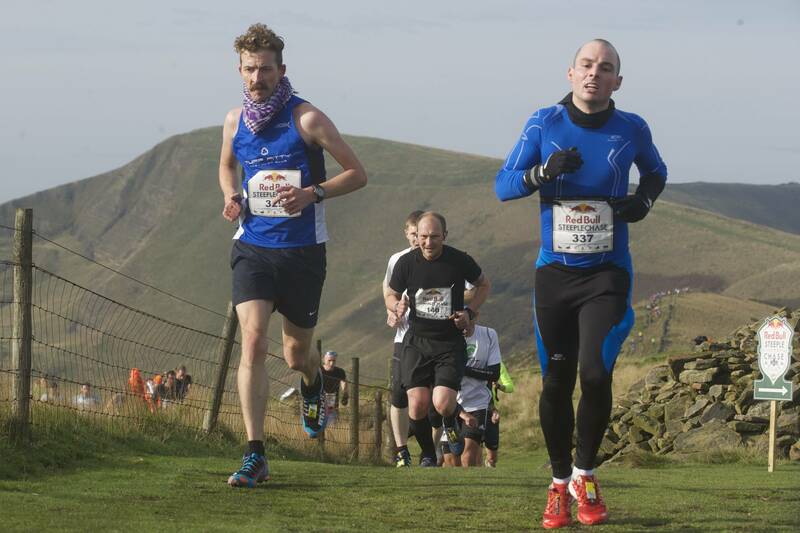 I had 2 guys in front of me, and my trackmate (wingman) Andy on my right shoulder, matching me stride for stride. I became aware of another guys footsteps with us, his cadence was quicker and it was putting me off, I zoned out and focussed on my footsteps and breathing. No 384 – centre screen, almost false starting. Still feeling very comfortable, the 2 guys in front weren’t going anwhere, Andy and Quickfeet were still on my shoulder. I was still wondering where everyone was. Approaching the turnaround point I nearly got taken out by a radio-controlled car, it stopped me from eyeballing the 2 guys ahead as they came back the other way which was a shame. I came to a standstill as I hit the turnaround and launched into the headwind. I was surprised to see that my group had 30m or so on the next runner. I still didn’t know who Quickfeet was but he was hiding right behind me, and I could hear that Andy was starting to struggle. My pace was starting to drop in the wind and I hit Mile 2 in 5:50. The reassuring presence of my wingman suddenly disappeared as the wind took its toll. And suddenly, Quickfeet came by me, I slotted in straight behind him and took some shelter. He was really strong into the wind and I lasted about a minute before he dropped me. (In hindsight, I should have stayed with him as he never got further than 30m ahead, once he’d made the gap it was too hard to reel it in). And that was pretty much it, a hard slog into a 16mph headwind with no-one for company. 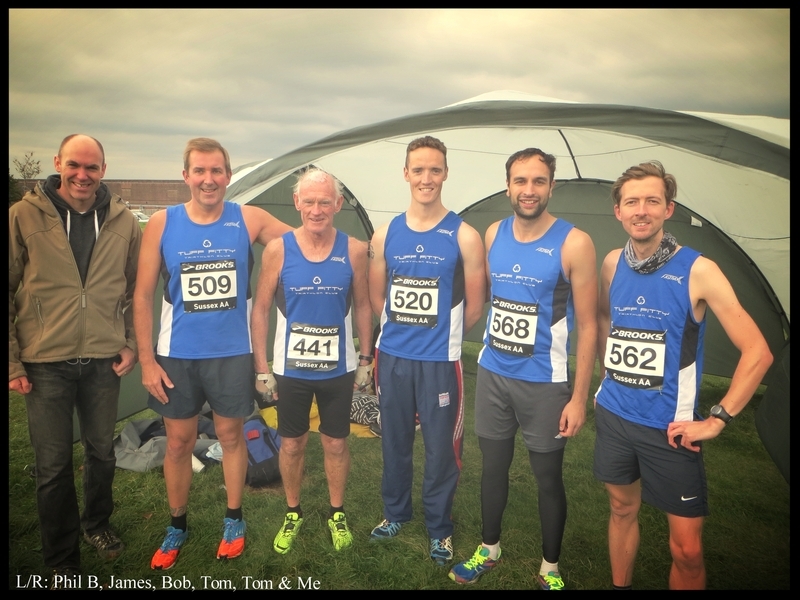 A MASSIVE NEW PB: 18:11 – thats an 82s improvement and 4th place Overall. I’m over the moon but also cursing that wind. 1st place for the both the Mens and Womens Team race too. Result. This year my big race was London Marathon, I trained hard for it over the winter, set a new PB and even managed to get my face on the TV highlights. 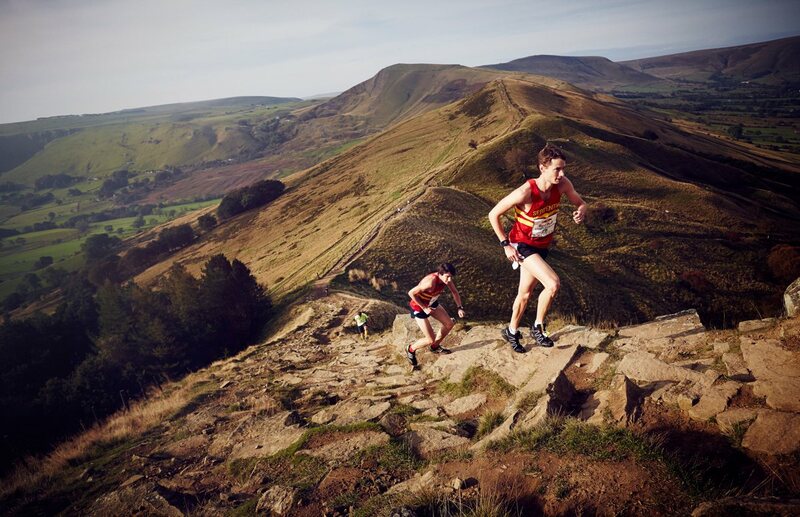 The year before it was The Red Bull Steeplechase which was absolutely brilliant, a knockout fell race up in the Peak District. Both these races took a lot of logistical preparation to even get to the start line, a very understanding supportive wife and a fantastic little boy who always goes to bed early enough to enable me to train whilst he’s asleep. Next year I had my eye on loads of big races but I needed to whittle it down to 1. Thats the agreement I’ve come to with my wife. More than that takes away too much from our time as a family and just isn’t fair in terms of cost. Local races are OK every now and then, usually pretty cheap, done and dusted by mid-morning, family can come to cheer and High-5, and the little one gets to see his Dad & other people doing physical exercise as a normal thing. So what are my options for 2016. And which one have I chosen? Well, I was one of those lucky buggers who had a London Marathon YES Magazine drop through my letterbox for the 24th of April! So I’m off to London again right? Well…..erm No. I can’t do it. Since I entered the ballot I signed up on a Sports Massage course, and raceday clashes with the final weekend of the course. At least the decision was made for me with that one. What about Ironman? Somehow, I had it in my head that I could do an Ironman next year. And after looking at options, I decided on Ironman Wales. Its in September so that would give me the nicest part of the year to do the long bikes and long runs required without having to go out in howling wind and rain on dark evenings. And the bike course looks really challenging too, with a climb that would look at home in the mountain stages of the TdF. Except I don’t really like riding my bike, I mean….I ride to work and back 15 minutes each way every day which is fine apart from the normal struggle with traffic, and I occasionally do 15-17 mile lunchbreak rides, ending up back in the office sweating and hungry. But the thought of sitting in the saddle for 5-6 hours whilst thinking about the marathon run still to come is something I’m still not ready for. I’m going to have to become much better friends with my bike before that happens. So what else is there, Man vs Horse? Yep, thats on my bucket list but not quite the challenge I’m looking for. 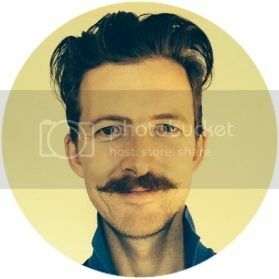 A 50, or a 100 mile Ultra? No chance, not after my recent experience. I’ve learnt that I like to have other people around me, not necessarily to talk to, but just to take my mind of the hard work, and my first experience of Ultra running was quite lonely. I’m not ready for the psychological challenge of that. A half Ironman then? A natural progression up through the endurance events. Maybe, but not as my main event, maybe I could fit a local non-branded long distance Tri in later in the year, I think the distance would suit me but I want something a bit different. 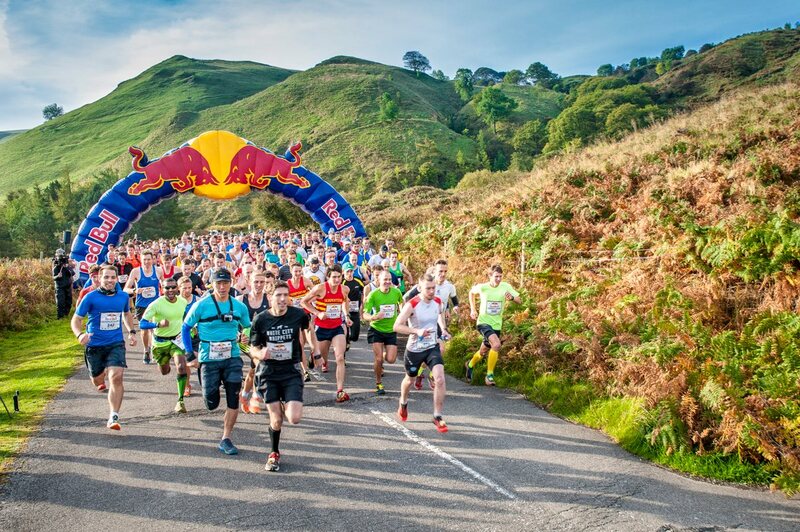 This year I spotted a handful of SwimRun races making their debuts in the UK, I would have loved to have done one of those but the logistical nightmare of getting up to Loch Ness from the South Coast made it a no go. 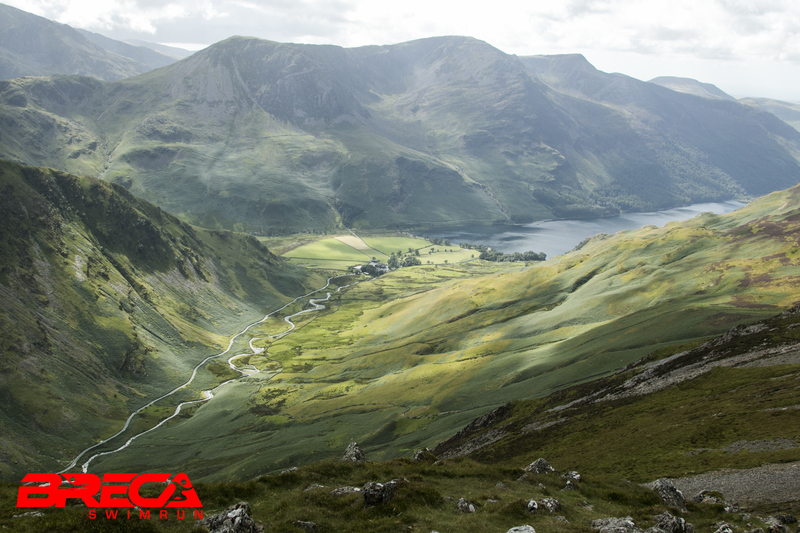 So imagine my delight when Breca SwimRun was announced in the Lake District. 38 kilometres of running, 6 kilometres of swimming. split between 9 runs and 8 swims. Run in your wetsuit, swim in your shoes. Oh, and 1900m elevation. The only problem was that you need to enter in teams of two, which meant finding some other loony who was up for a challenge. Some other loony who would be a similar pace to me would be ideal as the rules say you need to stay within 10 metres of each other. Some other loony who didn’t mind trekking however many hundred miles it is to Lake Buttermere (Its 380) to go and do this daft race. That other loony…..is Tom. I didn’t even need to try and persuade him, he posted a link to the race on facebook asking if anyone was up for it! This was meant to be. I run at the track regularly with Tom and he’s a good target man for me, I know he’s a bit quicker than I am, especially when peaking for a race but I’m getting closer to him all the time. This is the same Tom i just managed to edge out in the Cross-country race last weekend actually so we’re pretty well matched on the run. In the water he’s like a bloody fish though. I have no idea how I’m going to hang on to him in the swim sections. I should be able to get a big benefit from drafting him through the water but we’ll have to train together a lot to get the pace right on the swim otherwise he’ll leave me for dead in the shallows! So there’s going to be a lot of running over the South Downs over the winter and I’m probably going to do the 3 Forts Marathon as a training run with Tom. That should be good prep for the terrain as well as giving us chance to race long together. I’ve got loads to work out between now and then. 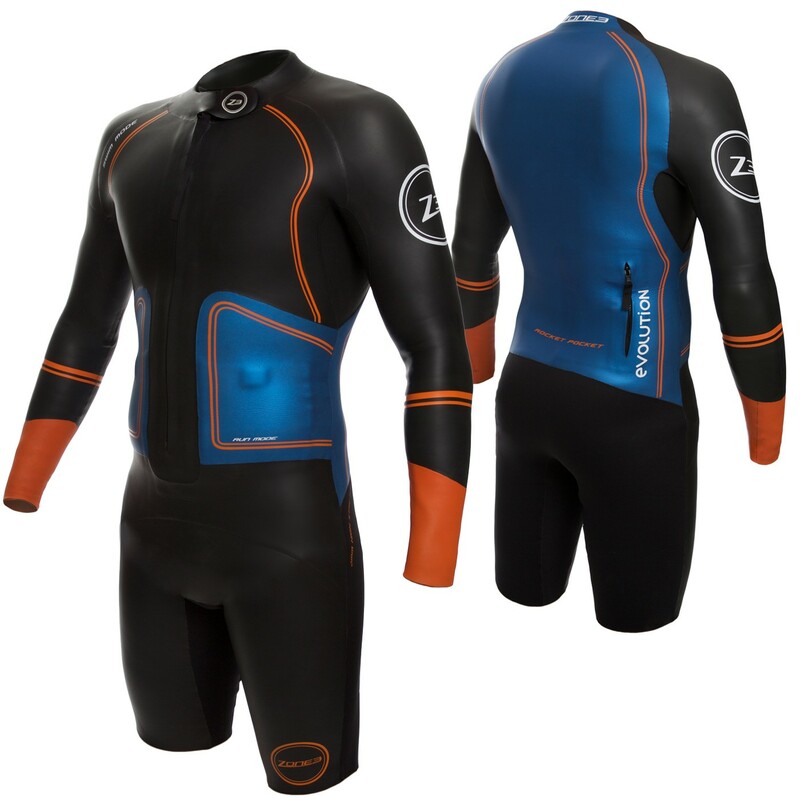 Fundamentals like which wetsuit am I going to get? Do I just cut a wetsuit at the knees and elbows and hope it doesn’t chafe too much. Or do I go specific and get something like the HUUB Amphibia or personal preference, the Zone3 Evolution. And then there’s the question of shoes. Do I remove them for the swim and tow them along in a drybag? Or stuff them inside the suit? Or drill holes in the bottom for drainage and just swim in them? And then there’s paddles and pull buoys, from what I’ve heard, if you’re not wearing paddles, you’ve got no chance of being competitive. My shoulders aren’t ready for that at the moment so there’e a lot of swimming to do over the winter. Expect to see me at club sessions with my shoes on as I experiment! Despite the worries and apprehensions I currently have about this event, I don’t think I’ve ever been as excited when booking a race. The Steeplechase was good, but I think this is going to be even better. 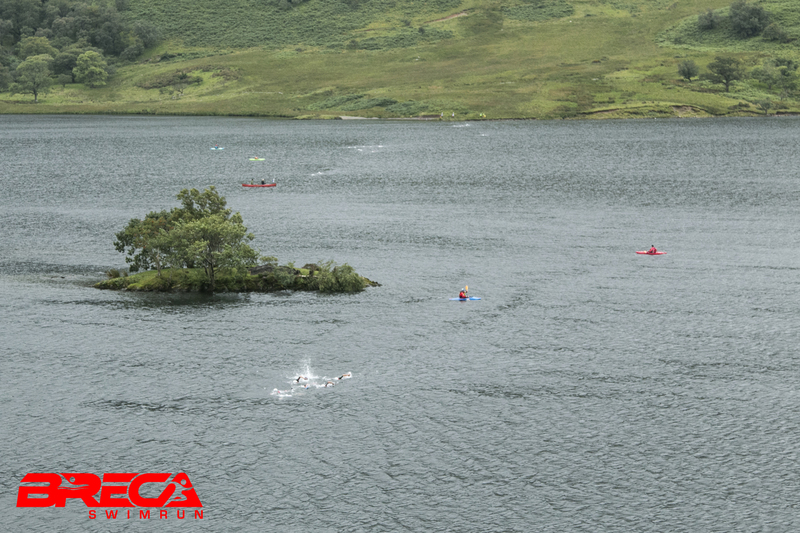 I hope the SwimRun genre takes off in the UK, the number of races has doubled between 2015 and 2016 and there’s at least one that’s a bit more accessible to newcomers, a short-course distance at Loch Ness. I’ll try and keep my blog updated with my journey to the start line so people can learn from my mistakes in future. 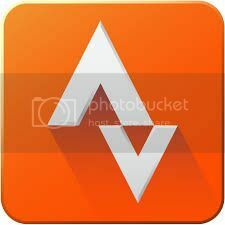 If anyone’s got any SwimRun tips for a first-timer, I’d love to read them. 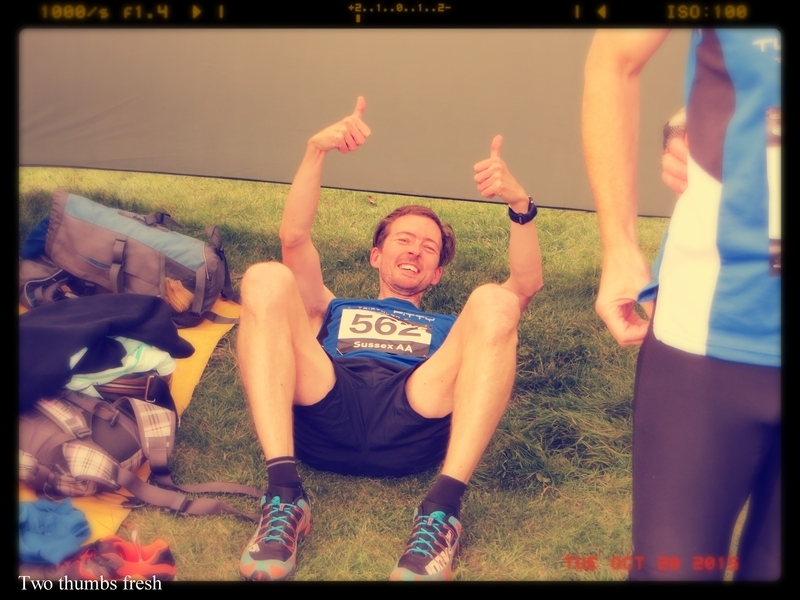 I’d been looking forward to Goodwood this year, especially as my last race (an attempt at the Downslink Ultra) resulted in a DNF when I pulled out at 21 miles. 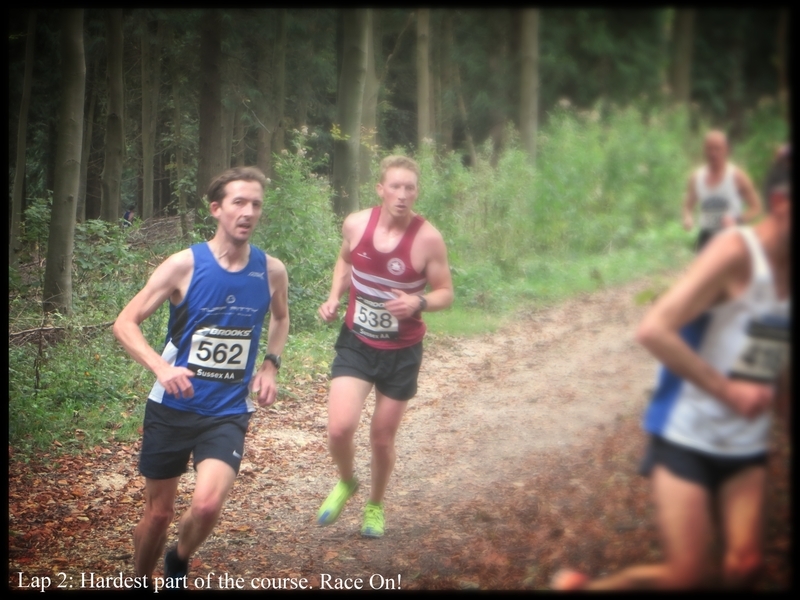 Goodwood is the first Sussex XC League race of the winter and is a 2 lap undulating course through the woods of the Goodwood estate. Its billed as 5 miles but I think it comes out at just over 4 and a half – leading to some rather flattering times. I came into this race feeling well trained but unable to shake a hamstring problem in my left leg – the same problem which caused my DNF 3 weeks prior. After meeting my teammates in Tuff City I had a gentle jog of the top field followed by a thorough warm-up whilst the girls races were on. The ground seemed pretty firm, no mud to be seen but soft enough to warrant my Inov-8 X-Talons. 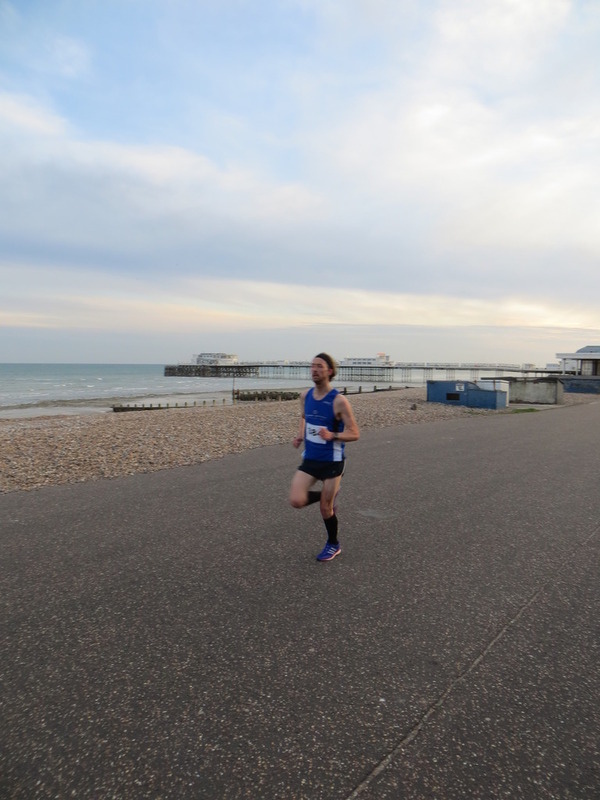 The clock ticked over to 2:30 and we made our way to the start line, as we got into position I spotted a chap from Worthing Striders who ALWAYS beats me by a couple of places, “you’re my target” I told him. He looked at me, totally bemused, he has no idea of the mental torment he’s caused me over the past year or so, this time, I was determined to beat him if nothing else. I found out his name (Andy), and lined up directly in front of him to hamper his start. It was either that or trip him from behind. The gun went off, the watches went beep, and the thunder of feet across the turf sounded like The Grand National on TV. I did my best to relax and not get caught up in the mad rush to the first corner like I usually do. I heard my team-mate James chuckling away as I passed him just before the corner, he’d realised at this point that he’d been less in control of his start than he’d planned and something was definitely awry if he was ahead of me & Tom! 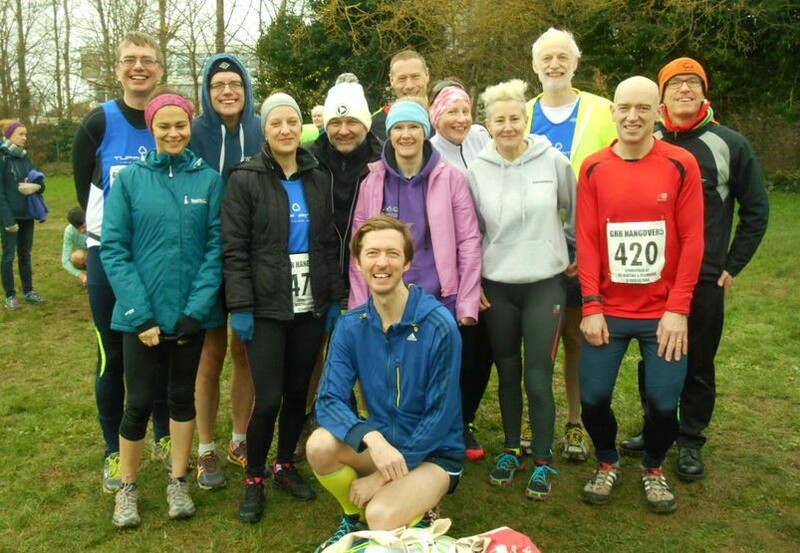 Andy from Striders eased past me as we dropped into the woods but I stuck to my race plan, of taking the first lap steady and trying to do even or even negative splits. Teammate Tom had moved about 50m ahead and I knew he had a similar plan to me, I was also concious that Tom is much quicker than me so if I was reeling him in, I was probably doing it wrong. So I reigned it in a bit on the flat sections, kept my cadence up and my breathing easy, said thank you to the fellow Tuffs cheering us on from the sidelines. I’d noticed that I was catching Tom on the uphill sections and as I went through the halfway point I drew level with him, we had a quick chat, he was feeling good on the downhills so we ran together for a while at a good pace. As the course dropped into the woods again we overtook people for fun, flanking them on both sides and reducing them to tears (I imagine). I started to gain a few meters as I’d seen my nemesis Andy further ahead and I felt now was a good time to make my move. I tried my best to make it seem like i was barely breathing hard as I went past him and if I’m honest, I felt really good. This was going to plan. 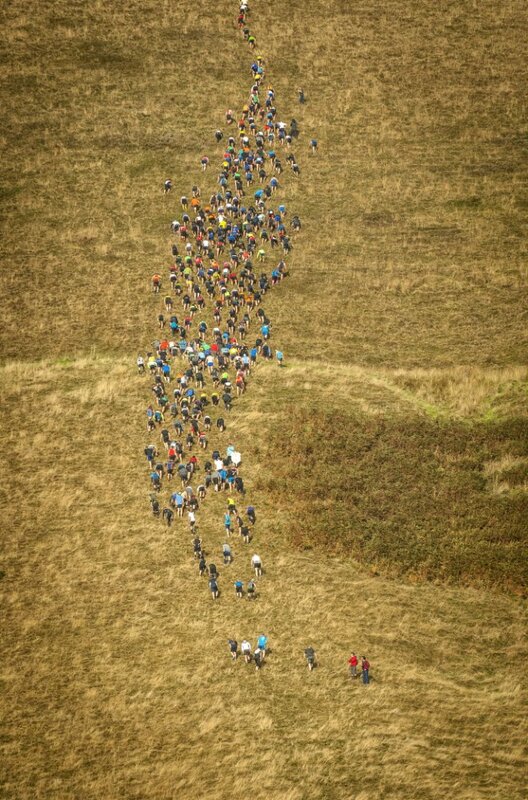 I approached a sharp right which then goes into a steep drop, the fastest point of the course, quite technical and requires quick feet. A Phoenix runner in front of me came to what felt like a complete standstill, I nearly flattened him! I danced round, almost into the trees and managed to squeeze past without shoving him to the ground – downhill running is a real skill, and he either didn’t have it or he was using that section to catch his breath. I pushed on and had a strong 4th mile, this was mostly uphill and I opened up 30-40m on Tom at this point, the Phoenix runner I’d gone past a few minutes earlier was clearly better going up as he came back past me with half a mile to go. I hung onto his tail, knowing I’d catch him on the quicker parts of the run-in, I heard some words of encouragement from Phil B on the sidelines and gritted my teeth for the finish. Phoenix and I battled over the last few hundred meters, surging past each other until I finally nailed it on the sprint finish. Turned out this guy was at least 15 years older than me so I can’t call it my proudest moment but I’m pleased to have gone quicker again in my 3rd outing at Goodwood. My finish time was 31:13 and i finished in 77th place. Almost 30 places higher and 2 minutes quicker than last time. The winner was Chris Zablocki, a 2:18 marathoner who completed the course in 24:00 exactly. This was a new course record and is truly mindblowing speed for a middle of the pack racer like myself. 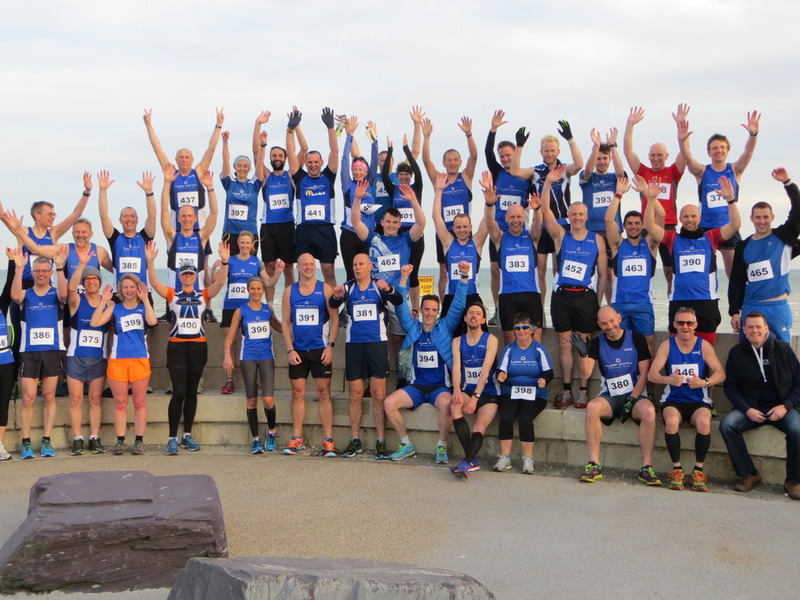 Finally, Andy from Worthing Striders – if you ever read this, I apologise, its nothing personal, lets race it out again sometime! 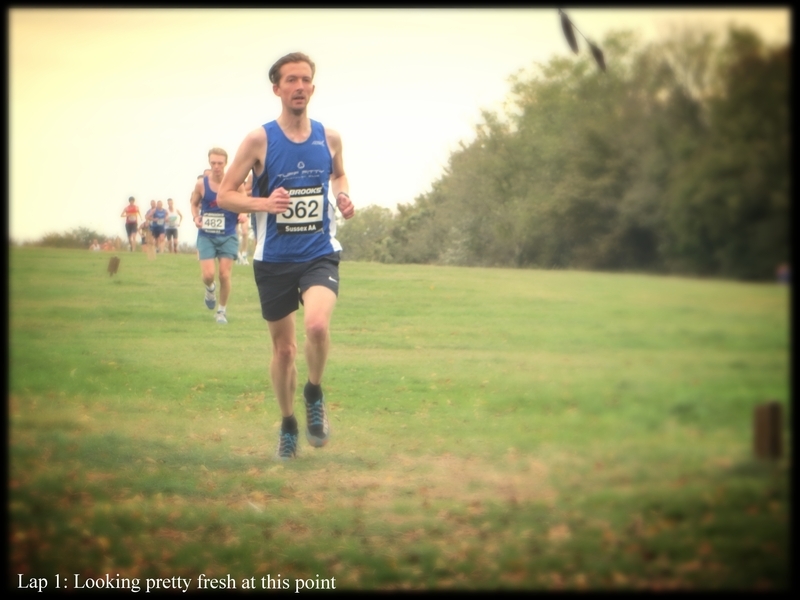 Back to Sussex and its time for the Brooks Sussex Cross Country League. The first fixture was on Sunday at Goodwood racecourse. 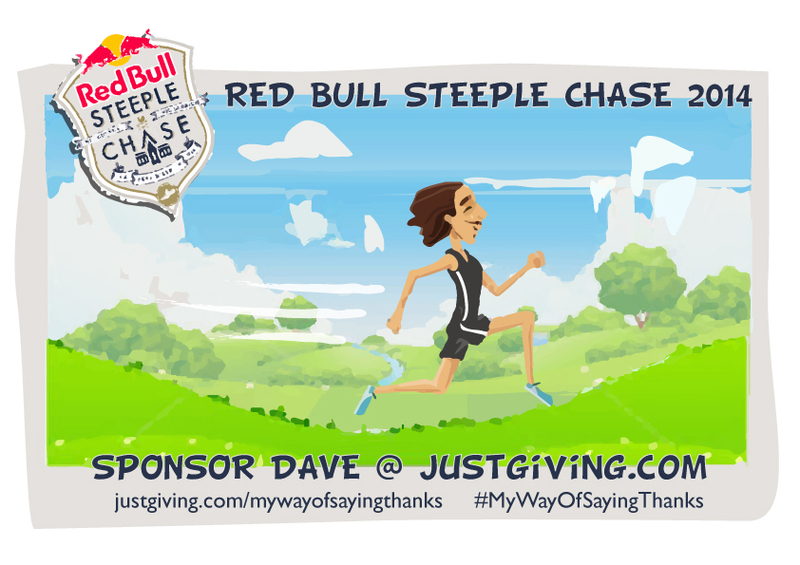 This is my favourite of the four races as it takes in some nice woodland tracks rather than just skirting around fields. As always, when the gun went, everyone flew off the line in the manner of Usain Bolt. Myself included. This meant that I had a cracking first mile and then faded badly. However, I did manage to achieve the honour of first Tuff home which was cool. And I also set a new PB, smashing almost 2 minutes off my time from 2 years ago, finishing in 32:58. The quality of the field in these races is impressive; I averaged 7:13 per mile and only finished in 104th place. I’ve got work to do to keep up with some of these guys. The X-Talons were brilliant for this race, definitely better than my New Balance would have been, and just as good as a spike.